As we wind up our 8th year of home education, I feel the flood of relief, joy, and satisfaction that always comes with May. Yet, this year, I have a new emotion mixed in...sadness. My older two will be going to our local charter high school next year (11th & 9th grade). I have prayed and cried and prayed and rejoiced and cried some more over this decision. My husband and I both feel that this is God's direction for us this coming year ~ it is still hard, yet at the same time exciting! The other two (6th & 4th grade) will remain at home. We will be revisiting a course of study I did with the older ones about 5 years ago when the younger two were still pretty little. They don't remember much from that study. Perfect for me....that means I can pull out all of my resources and plans from that year and simply use the same stuff! I'm super excited about this study as it is a tour around the world, so to speak. Originally, we did this year with the aid of My Father's World, "Countries & Cultures" course guide. While it was a great course guide, I found that I was tweeking it so much to fit our particular needs and style, that I didn't really lean too much on the guide for day-to-day plans. Still, it was a great launching point for me. If you do not want to do lots of research and planning yourself, MFW -blend of Classical and Charlotte Mason- is a great option. I tend to lean more towards Charlotte Mason for our family. Most libraries have excellent selections of "country" books. This is what we will depend heavily upon. The internet is also a good source for information about different nations. For Missionary studies, we will do some modern and some historical. MODERN: I will be in contact with our denomination's mission board to gather information and names of specific missionaries we can pray for and communicate with. 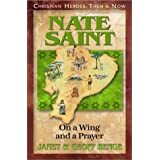 HISTORICAL: My favorite resource for historical missionary studies are the Heroes Then and Now books by Geoff & Janet Benge, published by Youth With a Mission (YWAM). They are thrilling and well written. We use them as read alouds. YWAM also publishes unit study guides for many of this series. 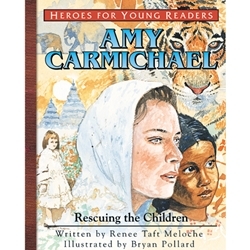 If you have younger children, I recommend Heroes for Young Readers, also from YWAM Publishing. The stories are told in a rhyming, poetic narrative, with lovely illustrations. I used them one year in co-op to teach a missionary class to K-2. They loved these books! For many, these are too text-book. However, I love how simply and thoroughly the concepts are presented in these books. They work well for us. We have used them for 7 years. For several years I have used Natural Speller, by Kathryn Stout for our weekly lists and spelling activities. This is a GREAT resource. The author has given extensive lists by grade, as well as lists of Greek and Latin based words. She gives pages of ideas for activities to do through out the week which will let the student work with his words in fun and meaningful ways in order to solidify them in his mind. Much more than the basic, "copy all of your words 10 times" or "use each word in a sentence", she gives creative ideas that incorporate grammar, dictionary, vocabulary, & writing skills. HIGHLY recommend. Looking forward to another year of discovery! I'm hopping over from Simple Homeschool's curriculum fair :) We love Rod & Staff, too, and I agree that it is kind of textbook-y, but the simplicity, uniformity, and predictability are perfect for my 6- and 8-year-olds! Thanks for sharing! I need to check out Natural Speller. The rest of your choices are great! I am not sure what your denomination is that you will check as far as missionaries, but my family is in Bolivia! Let me know if you study Bolivia! Thanks, Amy. I would LOVE to correspond with you and your family in Bolivia! We should be in your part of the world around November. I'll be sure to contact you when it gets closer.